When the winters are around a lot of things change, the weather, the way we dress, health conditions and food off course. Health is the most concerned aspects during the winter. Getting attacked by Cold and Flu is always high in winter and to fight it you need a great immune system. You can keep your health safe in winter by eating certain essential foods which have the properties to build a strong immunity. Without garlic, I simply would not care to live. Carrots: These are filled with Beta Carotene and Oxidants and it is advised to eat carrots atleast twice a week. It can prevent wrinkles on skin. Vitamin A present in carrots can help to prevent cold and flu. Green Tea: It is considered as a miracle drink as studies have found that it has lot of medicinal values. It is loaded with powerful anti bacterial and anti viral features. Drinking 4 to 5 cups of green tea daily can improve immunity. Mushrooms: These are one of the healthiest foods available on the planet. Mushrooms have the ability to boost your immunity. It has antibacterial and antiviral properties which can help you in fighting cold and flu. These are the great source to increase your white blood cells count. 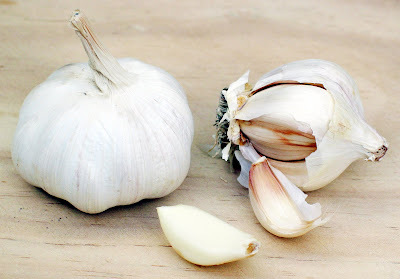 Garlic: The most common used home remedy to fight cold is garlic.The studies have found that people who take atleast 3 to 4 garlic cloves have very less chances of getting cold. The studies also have revealed that a healthy component called "allicin" available in garlic is the prime source for its medicinal properties. Many people avoid it because of its strong smell but you can consider to chop or crush the garlic cloves and swallow them. Honey: There are no research evidences available to support honey's ability to fight cold and flu but from the olden days people are using it as medicine to prevent cold and flu. Honey is considered as the instant energy booster. Taking 2 teaspoons of honey daily is good to keep your health strong.